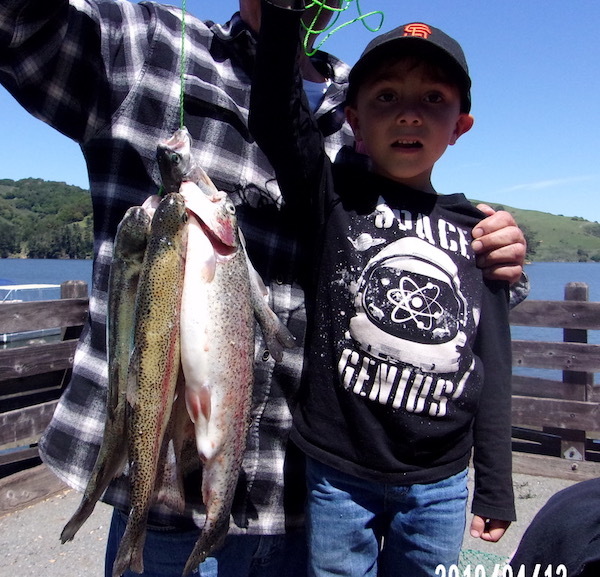 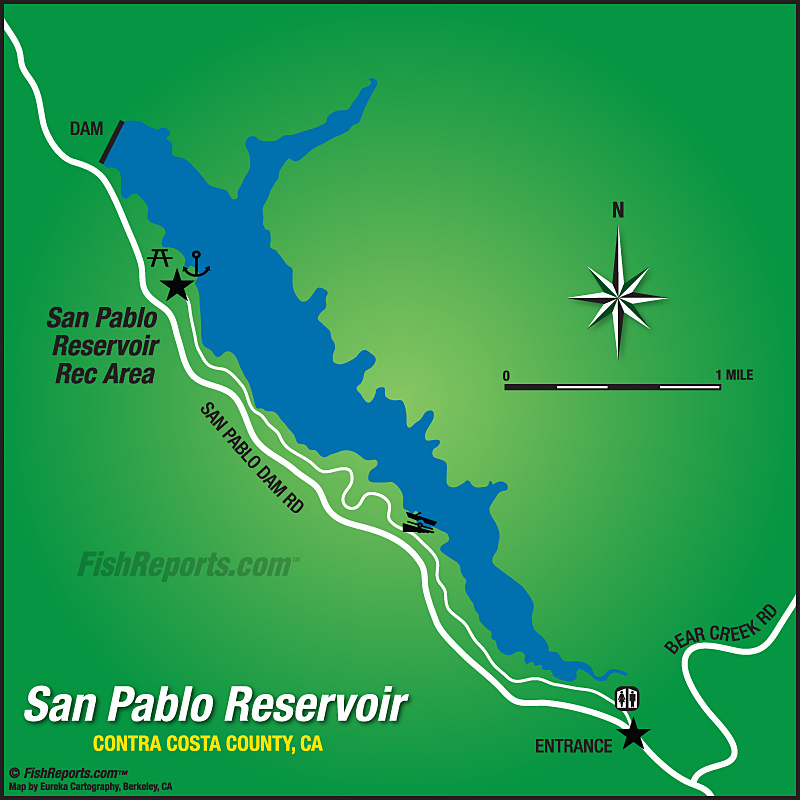 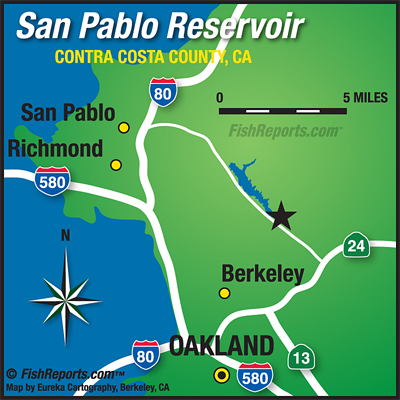 Luke Gpa Cosmos of Pinole caught 6 trout the largest weighing 2.5 lbs using power-bait. 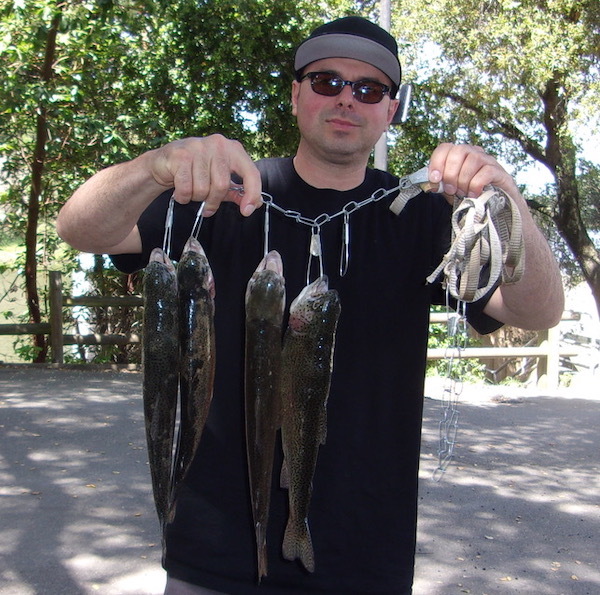 On 4-12-19. 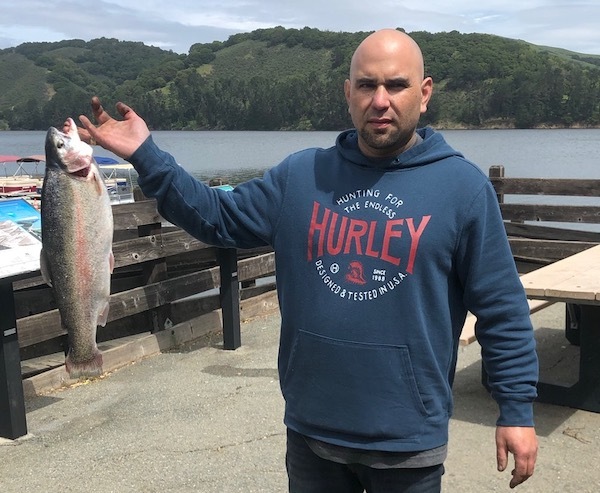 Mike Ascari of El Sobrante caught 4 trout using green-power-bait at Sandy Point on 4-19-19. 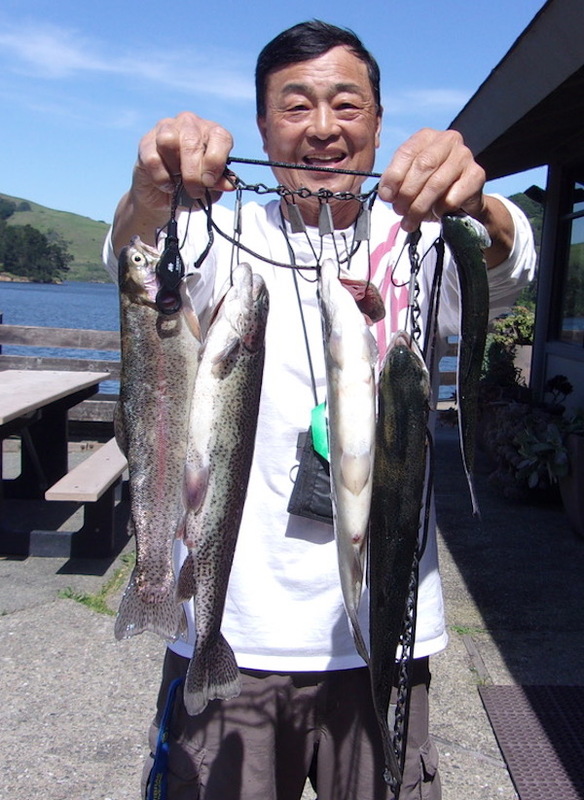 Bryan Yee of Alameda caught his limit using power-bait at the Oaks on 4-18-19.